Noradrenaline Sintetica® is the natural transmitter of postganglionic adrenergic nerves and, by means of general vasoconstriction, increases systolic and diastolic blood pressure (with the exception of the coronary arteries). It is particularly used as an emergency (life-saving) drug against hypotonicity and in intensive care unit. 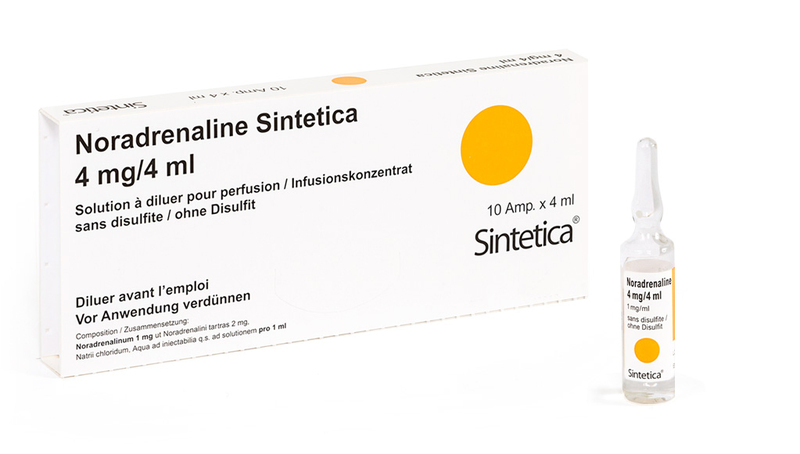 Patented premixed ready to use formulations of Noradrenaline Sintetica are under development.